Despite writing for nearly every household name in music (Justin Bieber, Jennifer Lopez, P!nk and 112 are among his credits), songwriter extraordinaire Jason “Poo Bear” Boyd has no intention of becoming as popular as the hits he’s contributed to. As a teen, he traded his boy band duties as a member of the groups Young Harmony and Friction to help pen smashes for 112 like “Anywhere” and “Peaches and Cream” before penetrating the pop, hip-hop and reggaeton markets over a decade and change later and co-writing ear worms like Bieber’s “What Do You Mean?” and his verse on Luis Fonsi and Daddy Yankee’s “Despacito” remix. Mere hours before releasing his album Poo Bear Presents: Bearthday Music — an amalgamation of collaborations with pop, hip-hop, R&B and Latin artists whom Poo Bear considers his friends — he not only puts on rising acts (à la Anitta and Zara Larsson) but curates his connections into a genre-fusing collection of party music and love songs. 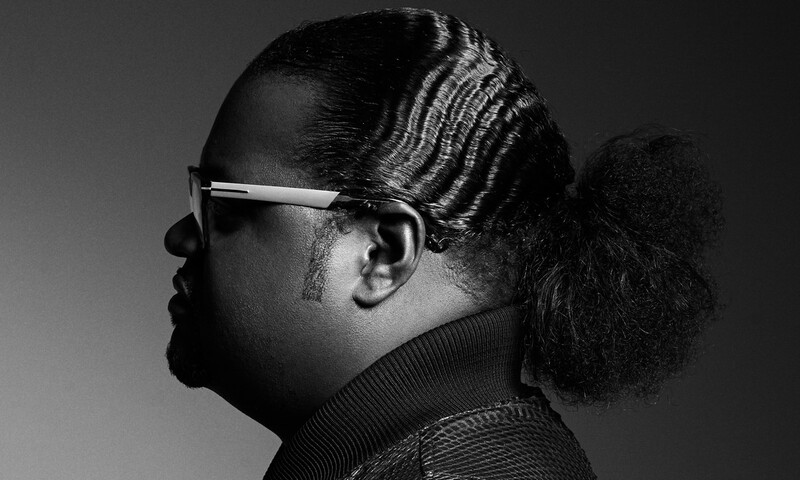 Here, Poo Bear reflects on his past as a bag boy for 112 and why you won’t find fame on his goals list. With this album, you’ve said in interviews past that you want to be a curator. Where did the idea to do that come from? Initially, I was just going to do it on my own independently and put out a record with Anitta out of Brazil as my first single. In doing that, it was just for a certain region. I wanted to lock down territories with certain artists, even though record was done a couple of years prior. I just have so many great songs that are laying around, as long as I can get the artist to believe and they still love [the song] then there’s a chance this music can see the light. You have quite the Rolodex, sir. Not just based off of this album’s tracklist but your career since writing for 112 and Jagged Edge. At what point in your life did you identify your songwriting voice? From the first session I went in with 112, coming up with the song ‘Anywhere,’ I was always insecure — I’m insecure right now — but it gave me confidence that 112 liked me. From there, I kinda understood that there was a career in songwriting for me. I was in a group and I never really wanted to be famous. I wanted to take care of my mom and be able to provide for my family. Just being able to be part of a hit record like ‘Anywhere’ showed that I could make money from writing songs and it got me in a songwriting mode to where I can completely write songs for a living. How would you define your songwriting voice? My songwriting voice is not just one voice. It’s pop, it’s reggae, it’s reggaeton, it’s country, it’s hip-hop. It’s R&B first and then doing Bearthday Music, it allowed me to really display that I don’t have to just be locked into one genre. I want Bearthday Music to be on all these different playlists. I want to do something that’s never been done before, even if it doesn’t really hit radio. It’s just to be able to get great music out there to the world and to be a part of these different genres to show and prove like, ‘Hey, I can do reggaeton with J Balvin and Skrillex and it’s like this new thing.’ I want to be the first songwriter to put out an album with a bunch of my friends and I’m sure people are gonna copy me, which is cool. I was the first to do it. How do you know which songs to give to artists versus keeping them for yourself? Justin has been so loyal, like [he doesn't] have to ask me. I just want my music to be heard so even if it’s not my album, as long as I know there’s a chance this record could come out and be heard by the world, I’m gonna be for it. I was a little bit attached [to the Justin song] because when my son was five months, he said, ‘I love you.’ It was his first sentence, which kids don’t usually start talking ’til they’re 12 or 13 months so I put him on the beginning of the record. That was my only emotional connection to the record, but Justin promised to keep him on the record. No matter how much success you’ve had, you’re still sharing the wealth. Where did you get that humility from? I just want to win and a lot of people want to win and be famous. I never cared to be famous. I really enjoy my life and my privacy. I understand putting out music is going to open that up a little more, but at the same time, I just want to win and that mentality, whether it’s my record or somebody else’s record, as long as we win together, I think that’s how I’ve gotten to this place. I’m not judgmental. I don’t really try to hold on to anything. Ego is what keeps people held in a certain place. Just lose the ego and it’s about making great music and winning and genuinely getting music out there. I think people can feel that and it allows for me to be blessed. Who are some of the songwriting greats who influenced your pen game? Stevie Wonder. I come from a really strict household. My dad was a preacher. My mom’s really religious and while they were together, I wasn’t allowed to listen to Stevie Wonder. That’s what it was titled – secular music. I used to sneak listening to ‘I Just Called To Say I Love You.’ I wasn’t listening to Too $hort or 2 Live Crew. Correct, it was perverted. At the same time, I didn’t look at it as being perverted. I was like, what girl wouldn’t want 112 to say, ‘We can do it anywhere’ to them? That’s like a fantasy to them. I just notice their fanbase and I’m like, ‘These women are in love with you.’ They were like the gentlemen and they were safe. Do you keep in touch with anybody from your former groups, Young Harmony or Friction? I talk to Black. Young was his name. I talk to him once every six months or something like that. He just had a new baby, but the other guys, I don’t know. They got jealous. After ‘Anywhere’ was one thing but after ‘Peaches and Cream,’ they started calling me ‘Hollywood’ and I’ve always been this way. I’ve never changed. I’ve seen people change around me; the more money I make, the more they act weird and treat me different. They were just very uncomfortable with my success and Black was one of the members that was cool. He was naturally envious but it wasn’t a malicious jealousy. I would take them shopping with me ‘cause I had extra money and still they would be jealous and treated me bad. I had one friend from my childhood. His name is Kenan Thompson, he’s on Saturday Night Live and my only friend from 12. He’s acting and I’m in music, and we go on vacations together with our families. But it’s hard to have a relationship with people [from back then] because they feel like you owe them and it’s like not really. I really worked hard. Was there ever a song that you wrote that you didn’t feel was a hit that skyrocketed into an astronomical smash? Yes, ‘What Do You Mean?’ by Justin Bieber. I just wanted to get it over with because Justin had booked studio time for me and I didn’t want to waste his money so I was like, ‘I’m gonna go into the Record Plant and knock something out,’ but it was like we still got 105 songs and we still have about eight or nine songs to record but [he's] still asking me to write another song. I went into the studio in a frustrated place. That took like 30 minutes [to write] ‘cause I was trying to get it over with. Justin was in Australia on a trip crusade and I sent him the idea and he’s like, ‘This is a wave’ and I never heard him say that before. And then Scooter was like, ‘That’s the first single.’ And I was like, ‘No, there’s so many other songs.’ He’s like, ‘You don’t understand. When I get that feeling in my stomach, I’m never wrong and I’m getting that feeling. This is the first single.’ I didn’t think that was the single. Was that the fastest hit you ever wrote? ‘I’m The One’ [by DJ Khaled] I did in 15 minutes and ‘Despacito’ remix [by Luis Fonsi and Daddy Yankee] was about 15 to 20 minutes, but that wasn’t a whole entire song. What I’ve learned is the faster I wrote, the more likely it’s going to be a hit. When you care too much and overthink, it’s not gonna connect. How did you select your collaborators like the Latino artists on your album? That was me feeling like me seeing a market like I really want to break into that reggaeton market just because I’m a big, black guy and I’m not supposed to be there. I’m not supposed to be at the Latin GRAMMYs® every year. I wanna do things that I wasn’t supposed to do. With that, Scooter introduced me to J Balvin. I’ll be honest with you, I’m not a diggin’ in the crates type of guy. I’m not a listen to the radio type of guy. I feel like when creators do that, they’re subliminally and subconsciously taking other people’s melodies and they don’t even know it. I know it ‘cause then I hear the radio and I’m like that’s me. These are my melodies and it’s only because if you’ve been on a big hit record, the influence of it is so heavy so for me, I’m not listening to music all the time because I don’t want to subconsciously use someone else’s melody by accident because it’s inside of me. I’d rather create a new melody that someone else can steal from me. You’ve mentioned that your goals were to get out the hood, get your momma a crib and make sure your family’s taken care of. How have your goals evolved since then? [Laughs] My new goal is to get a G4. A vacation home in Ibiza and for this album Bearthday Music, I really want to be on all these playlists. You can’t really do that with albums because there’s this one sound. Every time you look at a playlist, no matter what language or genre, you see Poo Bear Presents. That’s a really important goal and also just being a great husband and a great father, consistently, which is tough, just being human. I went to Europe for two months and I got paid $1,700 bucks for two months but it was a free trip. There was per diem money. I just remember being the bag guy and I was writing. On that tour, I did ‘Peaches and Cream’ and ‘Dance with Me’ so I was carrying bags. I forget to tell that in my story. [It just makes me remember how I used to think] I know I’m nothing but I can do this.